Under Construction. Single story 4 bedroom, 3 bath sq ft Richmond F on homesite 2. 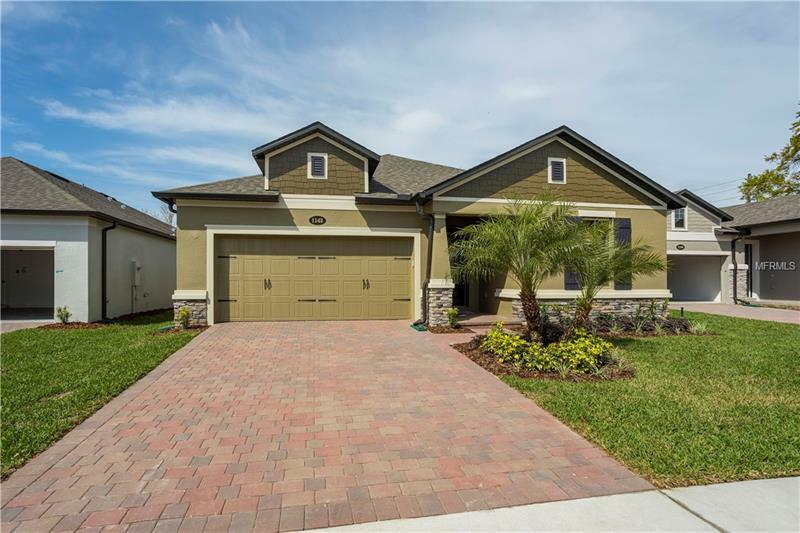 Features include wood look tile in main living areas, light colored kitchen cabinets with beautiful granite countertops, farmhouse sink, slate GE applinaces. Open floor plan with split bedrooms and guestroom with bathroom. Sink in laundry room. Large covered lanai with brick pavers. This home is Energy 3.1 certified. Pet Restrictions: Please contact HOA and Seminole COunty for animal ordinance.